Build new vehicle offers instantly that include finance payments, lease prices. price savings amount, finance rates and market savings. 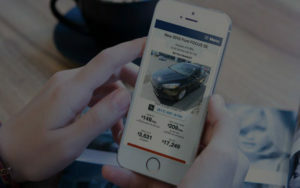 New car deals are published to body style and model landing pages in real-time, easier than ever. 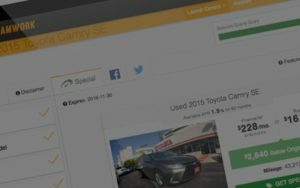 Build used car marketing campaigns from your inventory with payments, market savings, and finance payments. Give buyers what they’re looking for faster. 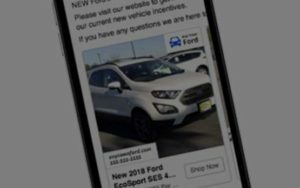 Each specific offer feeds into OEM specific and body style landing pages to market your used vehicles easier. Create service offers for your best products. Publish offers to service specific landing pages and into Google Ads, Bing Ads, and Facebook paid search campaigns. This is the best way to generate more local traffic in your service lane and retain customers long-term. Take your automotive marketing to a new level when you power it with Cruise Control Pro. 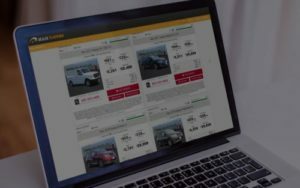 Get new vehicle offers published to your website automatically with current national and regional incentives. Never miss your chance to show the most recent offers and rebates. Share your most recent prices and offers to Facebook with campaigns that drive results. Campaigns are pushed seamlessly and guided by your account manager. Get the best ad formats, account management, and reporting to that delivers social media marketing results you can see. 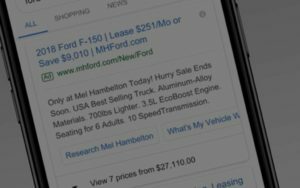 Build high-quality, relevant and dynamic automotive paid search campaigns instantly. 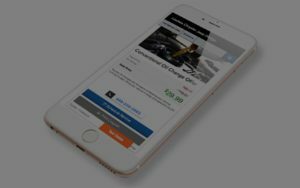 Ads with prices get more clicks from car buyers. Google and Bing certified professionals manage your paid search campaigns to maximize clicks, drive sales opportunities and eliminate wasted spend.